nVidia’s latest blockbuster card, the 1660 Ti, was released in March to great publicity, and will have many computer owners wondering whether it’s time to upgrade. The GPU is often the best place to drop extra cash on, and so it can be one of the parts that you’ll spend most time giving consideration to. Not all GPUs are born equal; you may find a budget card is sufficient for certain purposes, whereas you’ll want a monster rig for others. Certain technical factors are influential in determining what the right card is for you. Video gaming is the most obvious application for a graphics processing unit, and much of the market is geared towards this consumer base. According to science news website PopSci, when it comes to new computers, the most important factor for a gaming-oriented GPU is the amount of available VRAM. 6GB or more is ideal for performing at 1080p resolution, which will be the minimum for any serious gamer, and 2-4K will demand 8GB or more. This is why flagship consumer graphics cards, including nVidia’s 1080 Ti and the AMD RX580, use 6GB of RAM or more. This is also why nVidia revamped the 1060 Ti with a 6GB version, in order to get the most out of this market. When it comes to selecting a manufacturer, this is where clock speed comes in. Manufacturers build their cards to different standards to allow greater power input to match greater clock speeds and the prospect of overclocking. Typically, when you spend more you will get a faster card in this regard. Just make sure your PSU can keep up. For those that are still interested in mining cryptocurrency, the GPU can be one of the most important components in their mining rig. However, the requirements asked of it are different to those when looking to play the latest game titles. Instead, maintaining good power efficiency is important, to maintain profitability, and this is often represented by the ‘hash’ rate. Cryptocurrency news site CoinRivet find the hash rate most important, as it refers to the amount of power needed per calculation. Whereas top of the line nVidia cards are generally better for gaming, AMD RX series cards are better for mining as they tend to be more power efficient while still maintaining a competitive hash rate. Graphical processing and rendering account for probably the most demanding tasks you can place on a PC. This is because there is theoretically an unlimited amount of detail you can put into any one render, whereas the most advanced gaming titles will work to technology already available – otherwise, they wouldn’t sell any copies. The CPU is very important in rendering, and according to CG Director, the emphasis here is on getting the highest clock speeds you can on any one core, an area where Intel typically excel. When it comes to the GPU, CG Director argue that nVidia’s CUDA cores are most important, alongside VRAM for the brute force factor. These essentially act as extra processing centers, and top-level cards have over 2,000. 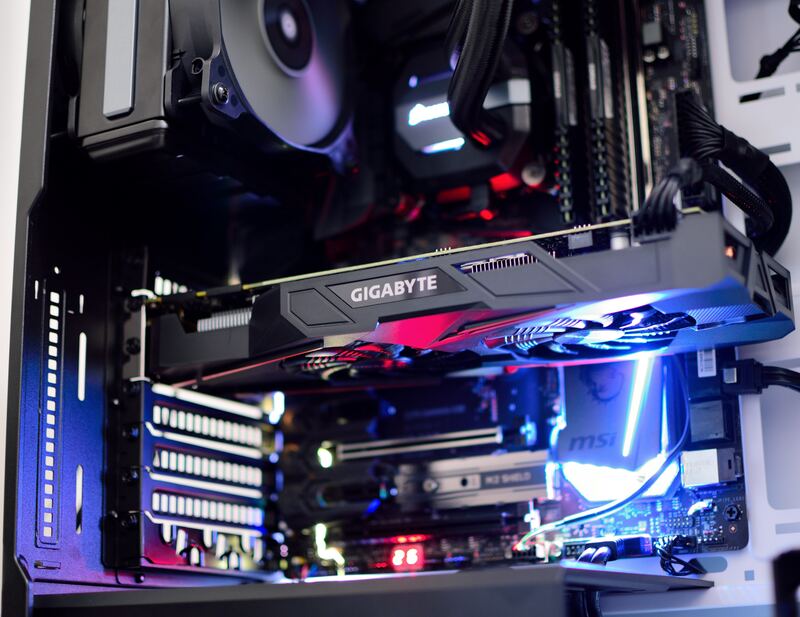 Upgrading your graphics card feels great, but it’s important to make sure you get the right card. Depending on your intended use, you could save a lot of money. Alternatively, you could find an extra area of value to make the most out of your money.